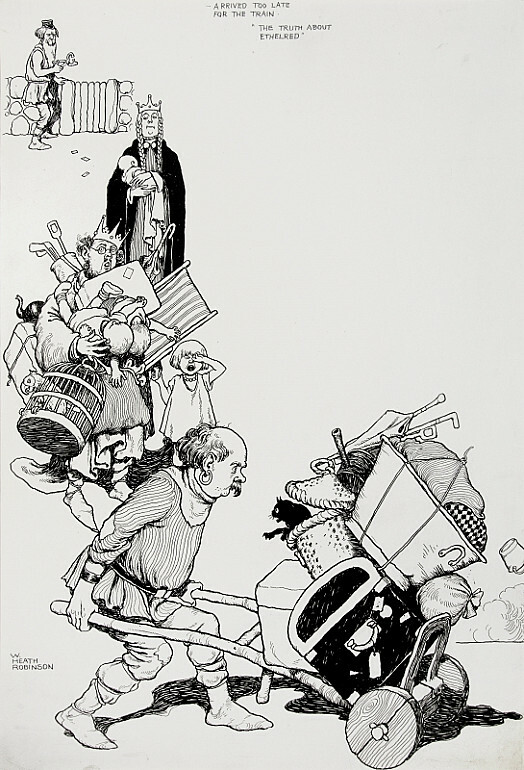 Heath Robinson is a household name, and a byword for a design or construction that is ‘ingeniously or ridiculously over-complicated’ (as defined by The New Oxford Dictionary of English, 1998, page 848). 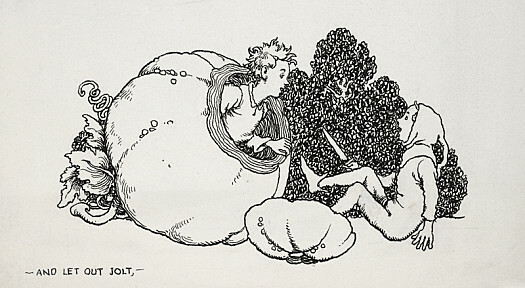 Yet, he was also a highly distinctive and versatile illustrator, whose work could touch at one extreme the romantic watercolours of a Dulac or Rackham, at another the sinister grotesqueries of a Peake, and at yet another the eccentricities of an Emett. 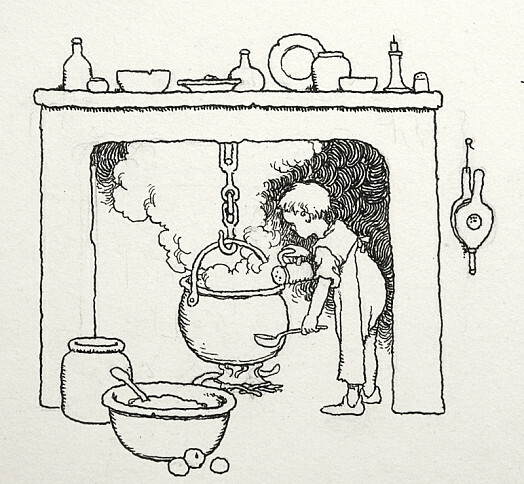 William Heath Robinson was born on 31 May 1872 in Islington, North London, the third son of Thomas Robinson, chief staff artist of the Penny Illustrated Paper. 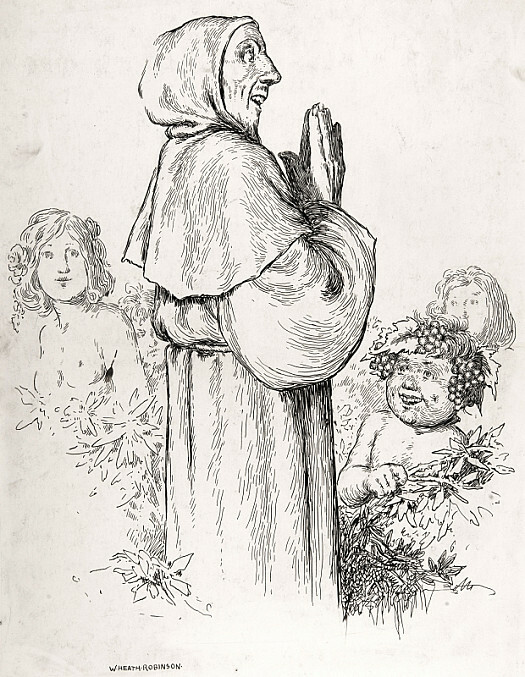 In the hope of becoming a landscape painter, he studied at Islington School of Art and the Royal Academy Schools, but soon followed his brothers, Charles and Tom, into the more secure profession of illustration. 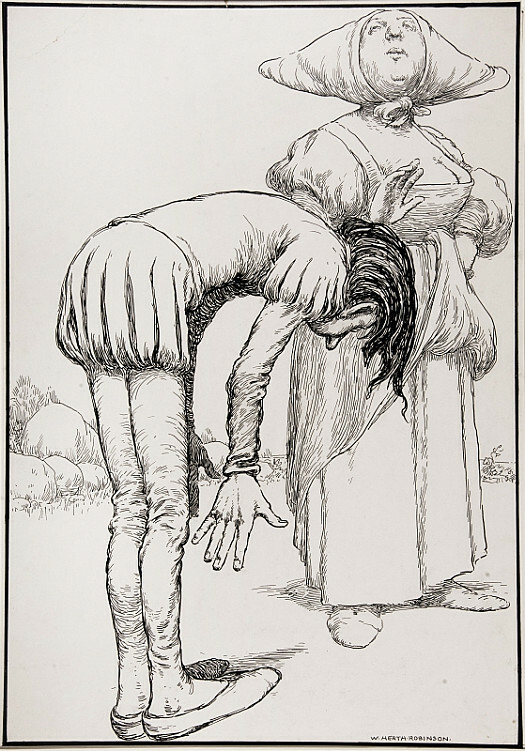 He contributed to periodicals from 1896 and, in the following year, began to illustrate books. 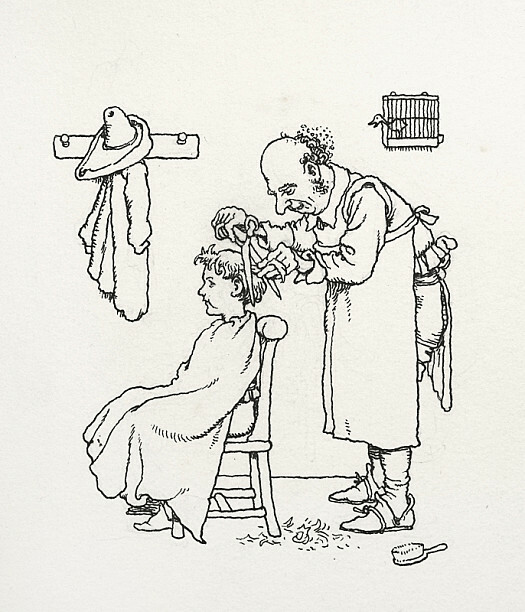 He established his position in 1902, marking his individuality with illustrations to his own book, The Adventures of Uncle Lubin, and ensuring his financial stability by making his first drawings for advertising. 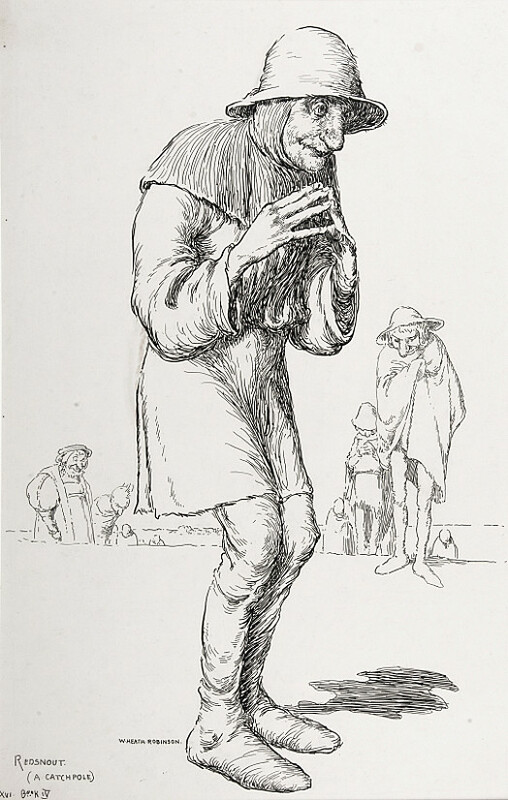 In this first phase, he worked almost exclusively in black and white, fully demonstrating his mastery of monochrome in The Works of Francis Rabelais. 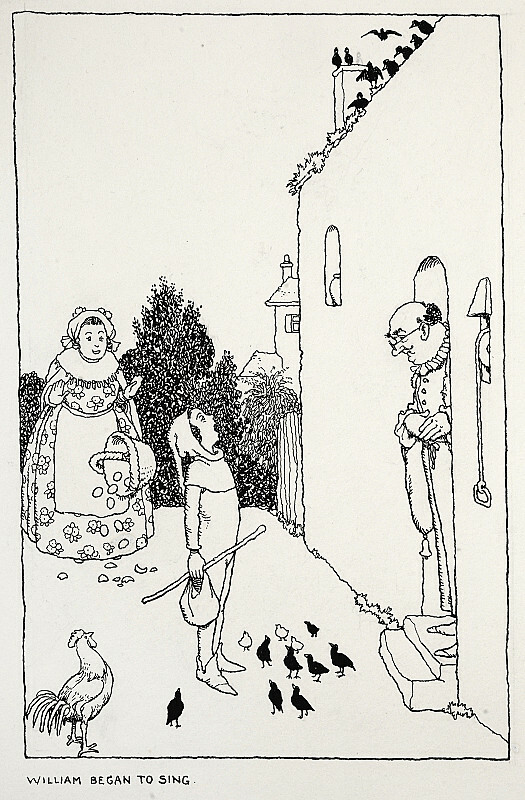 This appeared in 1904, just as Grant Richards, his main patron and the book’s publisher, became bankrupt. 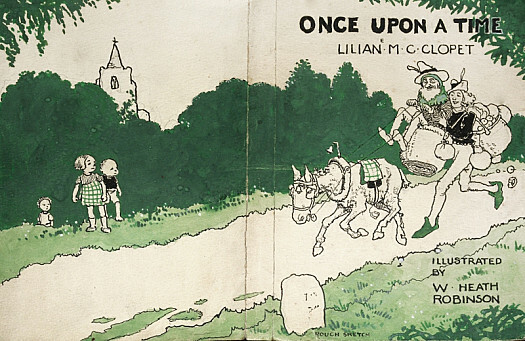 However, he was able to work with other publishers, developing his use of colour in order to produce true gift books; these began with Twelfth Night (Hodder, 1908), and included his own story, Bill the Minder (Constable, 1912), and A Midsummer Night’s Dream (Constable, 1914). 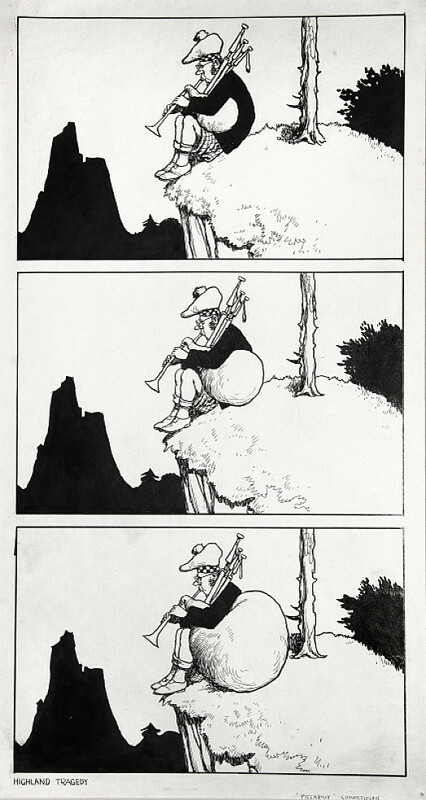 Though Robinson competed with others in the field of the gift book, he remained the unparalleled practitioner of the comic image. 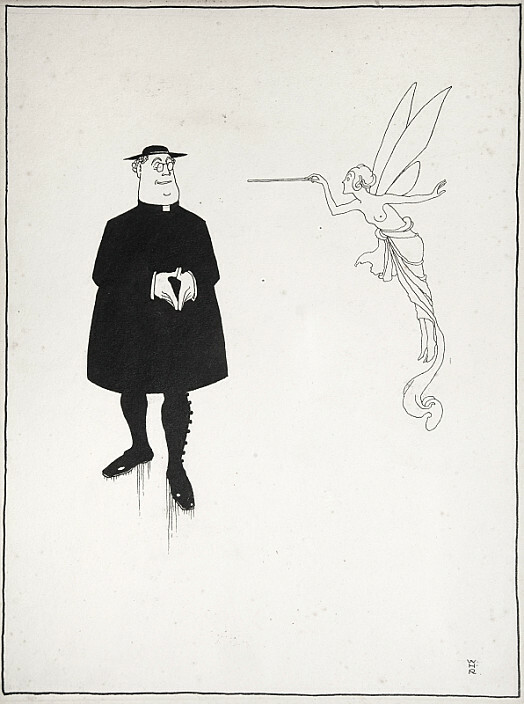 He produced an increasing number of humorous drawings for magazines and, from the First World War, was acknowledged the most original illustrator of his time. To the general public, as represented by the popular press, he was known as the ‘Gadget King’, that is as the inventor of perversely logical contraptions that gently mocked the products of the industrial age and so endeared society to its own rapid rate of change. 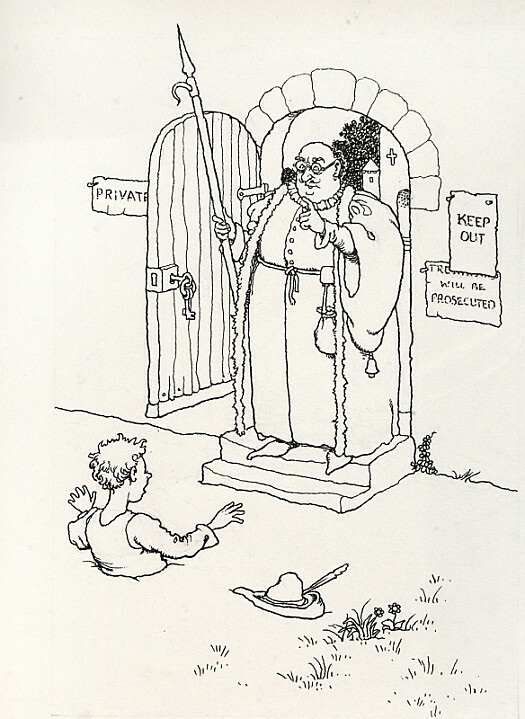 He exploited this persona, by appearing on radio and television, designing a house for the Daily Mail Ideal Home Exhibition (1934), and parodying the self-help manual in a series of books which began with How to Live in a Flat (written with K R G Browne, 1936). 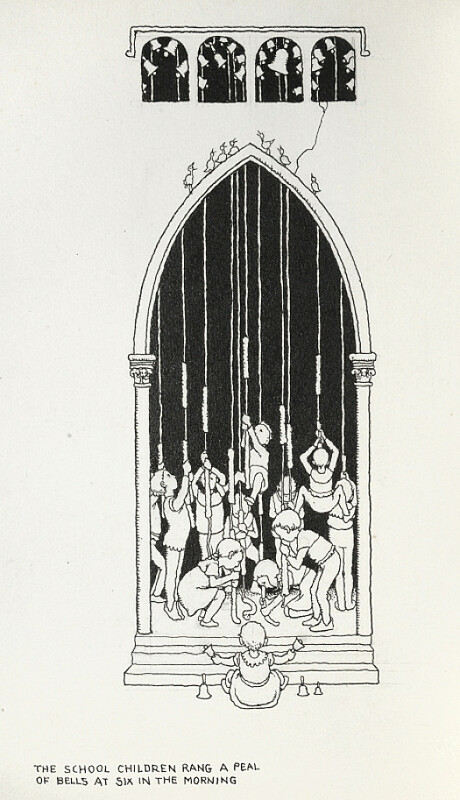 His major set of literary illustrations in this later period further blurred the distinction between fiction and reality: Norman Hunter’s The Incredible Adventures of Professor Branestawm (1933) concerned an amiable, eccentric inventor. The events of the Second World War, as experienced on both sides of the English Channel, enabled him to sustain his powers of invention even into his final work. He died in Highgate, North London, on 13 September 1944. 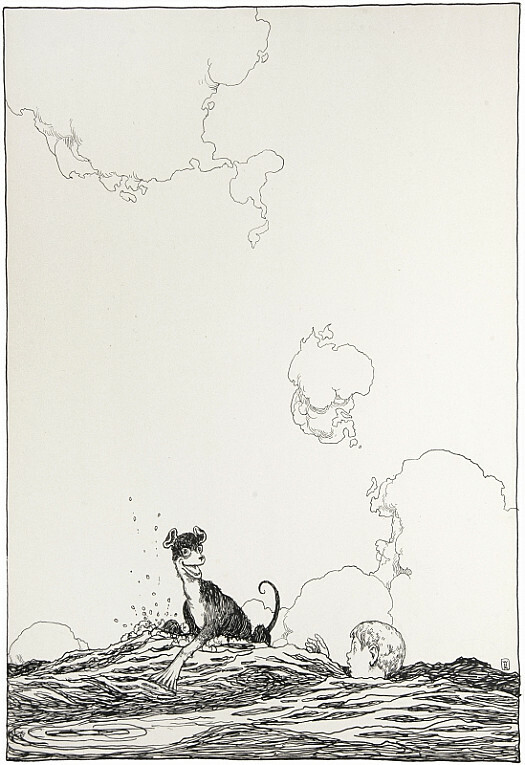 His work is represented in the collections of the British Museum, The Cartoon Museum, the V&A and The West House and Heath Robinson Museum Trust.